It happens with most of us, that the moment you enter your workplace, try to do best till the day ends but still you fails to do. Here’s a note on How to Be the Best Employee at Work and few Ways to Become Successful Employee you must adopt. Guys, it’s not complicated, but actually requires a decision and commitment on your part To Be the Best Employee. Habits like leadership, who manage everything well, working as a team and so on are the qualities that create a best and successful Employee. 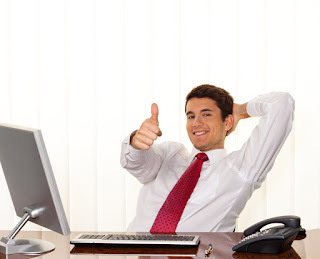 Dear readers, here in this article you’ll get Ways to Become Successful Employee. So, explore How To Be The Best Employee At Work and by applying these Ways in your professional life to Become Successful Employee. Start off strong - As soon as you get to work, don’t waste time in tea/coffee or checking up your LinkedIn /Facebook profile, rather than start you work instantly. Be managed on laptop or PC by closing all unwanted tabs- when you work, crowded browser is also top reason for distraction. And simplifying your desktop is really a good way to refresh your brain, if your last Google search is over and you’ve done with it then no need to let it linger, simply close it..! Avoid your social media profiles- because social Medias whether include Twitter or Facebook, these are not meant for workplace unless it’s actually work related. You believe it or not, these are a big reason for distraction that you don’t need. Pace yourself- Know what you need to do, and how long it takes to do it. Try making a list, ordered by priority. You can check it off as you go and see how much you have left to do that day. Put your work first- though you find your work tempting but necessary than avoid going out for lunch with coworkers. It’s not a big deal to give extra ten minutes, but this will help you to stay focused and get something on your list accomplished. Stay positive- guys, there’s nothing like a thing negative and you have to believe this. So, just don’t get in your own way and you can do this by starting your day off with a healthy and filling breakfast. Take a break- trust this trick, by taking a short break your brain will surely feel good. So, take it once and see how much more you’re getting done without any complication. Get up from your desk and walk outside, or refill your water bottle or have some fresh air on corridor. Don’t be multitasked person- do your important work first then go for another ones and there are many works that are quit vital to be done alone and being a multitasked this can seriously decrease your productivity. Focus your attention on where it needs to be. One foot in front of the other is the best way to get where you’re going. Sort your email – you know what? When you check your mails daily and answer them, within an appropriate time your management or boss likes this, as you showed your good and responsible quality. Take some time and categorize your inbox. Break down your big tasks- just fight with your fear (here we mean go and complete first your huge project that is remaining overhead) at least start, try and start it then Break it down into smaller, more achievable parts. By separating it out, you can feel more productive when finishing something and you’ll be far more motivated.